It is time to upgrade to luxury. It is time to upgrade to luxury with our new townhomes and garden style apartments. Lease now and enjoy your first month (30 days) FREE!! We redefined what a new kitchen should look like, with brand new stainless steel appliances, side by side refrigerator, stainless steel stove and dishwasher. Decorative lighting and beautiful flooring adorn every home as well as all of the necessities that a 2018 home needs. 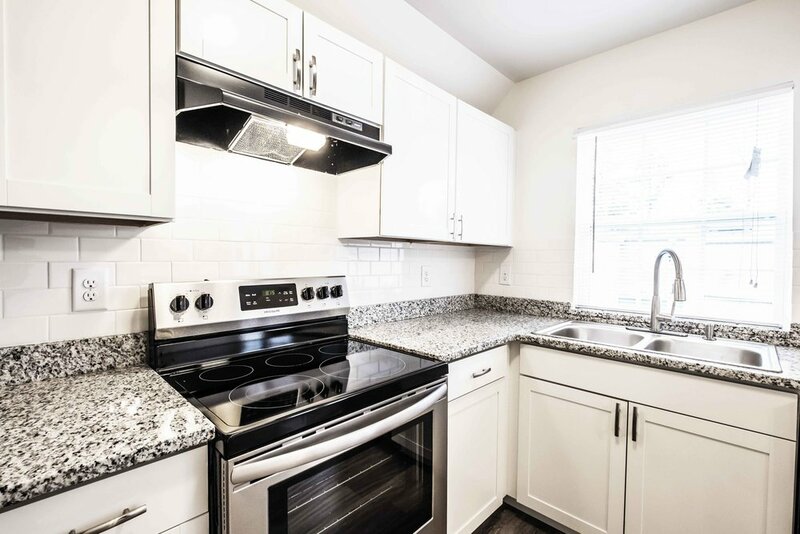 Each town home comes equipped with gourmet kitchens featuring granite counter tops, stainless steel appliances, modern cabinets and decorative lighting fixtures. Enjoy the weekend outdoors playing a game of tennis or soccer on our brand new sports courts! Centrally located, the tennis/soccer courts are easily accessible from all townhome locations! Each town home comes with an over-sized fenced in patio that a designated concrete area for patio furniture and grilling! Enjoy privacy while enjoying beautiful weather and surrounded by nature. Is there anything better than spending the hot summer days lounging pool side? Our over-size community pool is the perfect place to relax and have some fun in the sun! Comfortable lounge chairs surround the pool, making this the perfect gathering place for family and friends to enjoy the summer weather.